Dehydrated workers suffer from reduced concentration and alertness, slowed reactions times and physical work capacity decreases dramatically. 3% dehydration can slow your reaction time to the same extent as 0.08 Blood Alcohol Content (BAC) – how much more likely are you to have a workplace accident when dehydrated? You can improve WORK performance by MONITORING and maintaining proper hydration. Dehydration can be highly dangerous, whether it results from exertion, environmental factors or health status. Includes 100 urine test strips, and instructions. Ketones are produced when the body burns fat for energy or fuel. They are also produced when you lose weight or if there is not enough insulin to help your body use sugar for energy. 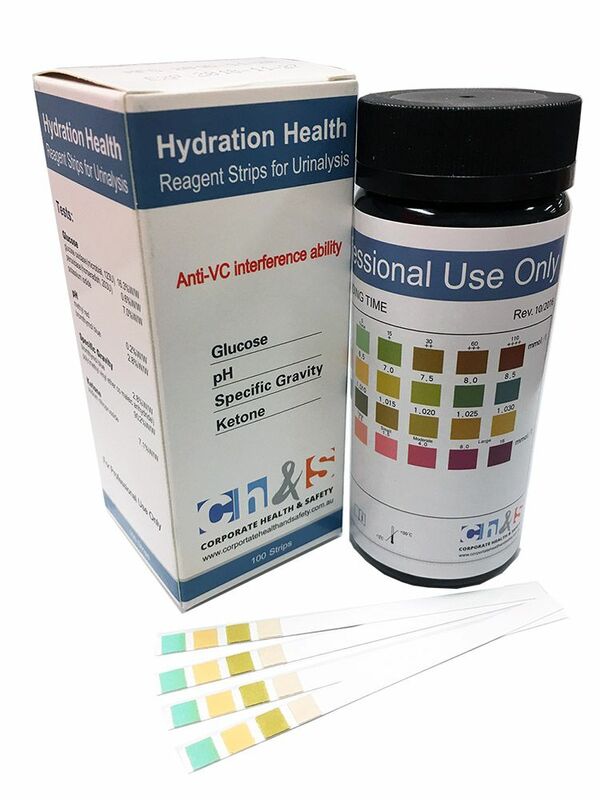 You can test to see if your body is making any ketones by doing a simple urine test. The glucose urine test measures the amount of sugar (glucose) in a urine sample. The presence of glucose in the urine is called glycosuria or glucosuria.